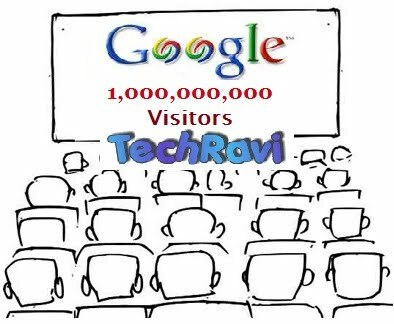 Google got 1 billion site visitors in May (in one month), a record breaking achievement by any website on the internet : ComScore Data. Google got its most hits from India and South Africa about 14.3 and 13.5 percent increase in hits from previous months. Overall, there is increase in 8.4 percent in unique visits and the lowest one , as expected in China ( China banned the Google services in China in year 2010) just 0.8 percent and in Korea 0.7 percent. 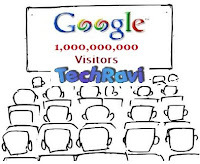 The exact number of visitors visit Google's site are -- 1,009,699,000 . Microsoft is on second position with 905 million visitors, Facebook comes on third position with 714 million visitors but in terms of time spent on the site Facebook beats Google with 250 billion minutes in May as compared with 200 billion minutes at Google and 204 billion at Microsoft.